Bilaateral heterogeneously enhancing renal masses in upper pole measuring 7.3 x 6.6 cm (right) and 7.0 x 8.1 cm (left). Right lobe liver with ill defined lesion in segment IV of liver suggestive of local infiltration. Multiple enhancing peritoneal nodules in right subhepatic space. Enlarge retrocrural lymphadenopathy and multiple subcentimeter paraaortic and aortocaval nodes. Mild to moderate ascites. Impression: Bilateral renal masses likely renal cell carcinoma with local infiltration and lung pleural and peritoneal metastases. Multiple mildly enlarged mediastinal nodes. There is a small-to-moderate right pneumothorax (a collapsed lung – a collection of air in the space around the lungs. This buildup of air puts pressure on the lung, so it cannot expand as much as it normally does when taking a breath). Pleural mass at the right anterior costophenic sulcus measuring 8 x 5.6 x 3.8 cm. Another large right pleural based mass noted anteriorly underlying the right third rib and it measures 6 x 2.7 x 2 cm. There is also a fairly large pleural based mass medially abutting the left atrium. It measures 5 x 4 x 3 cm. Bilateral multiple slightly lobulated pulmonary nodules with two nodules at the left lung apex demonstrating cavitation. There are bilateral large heterogenous masses occupying the upper half of both kidneys. The right renal mass measures 9 x7.4 x 6.7 cm. The left renal mass measures 8.7 x 8 x 6.6 cm. There is a peritoneal heterogenous lesion invading segment 6 of the liver, measuring 5.6 x 5 x 5 cm. There are multiple mildly enlarged retroperitoneal nodes measuring up to 17 mm. There is biconcave appearance of T3 vertebral body due to compression fracture. There is deformity at the left iliac crest, due to previous bone grafting. KC was told by the oncologist that since both his kidneys are infected with cancer, surgery is not indicated. The cancer has also spread to his lungs and liver. The oncologist prescribed Sutent. The total cost of his first visit to the oncologist was RM 7,000. Sutent itself cost RM 5,000 for 9 days consumption. The remaining RM 2,000 was for the CT and RM 300 for consulting the oncologist. KC came to seek our help on 5 April 2013. The following are excerpts of our conversation. Chris: Did they remove your kidneys? KC: No, both my kidneys were infected. They could not remove them. C: Then you saw the oncologist, what did he do? KC: He prescribed me this drug (showing Sutent box). C: How much did this cost you? KC: RM 5,000 for 9 days of consumption. C: Did you ask if the drug is going to cure you? KC: Only to control the spread of the cancer. C: How long do you need to take this drug? KC: He cannot tell me. I told the doctor. This drug is expensive, I cannot afford it. He said: How much is your life worth? And when I talked too much he got angry at me. I told him I cannot afford to take this medication. I only earn RM 1,000 plus per month – how to afford it. C: Did he tell you the adverse side effects of his drug? KC: ?? No, I told him I cannot afford to take the medication. He asked me: How much is your life worth? And why do you come and see me then? Comments: This is indeed a sad and tragic story. Just reflect on this: How long do you expect a patient who earns RM 1,000 plus per month afford to take drug that cost him RM 15,000 per month? What is the rationale of asking this patient to take the drug? To cure him or is this for any other purpose? Patient was to take Sutent so as to stop the cancer from spreading. This unfortunately is the line very often sold to patients to make things attractive. But is that an honest answer based on scientific fact? Read below and you will be shocked! This is something you need to know that oncologists or those with vested interests, will not tell you! Cancer drugs that shrink tumours by cutting off their blood supply may end up helping them to spread, a study suggests. Tests on mice showed that both Glivec and Sutent depleted pericytes by 70 per cent while metastasis rates tripled. 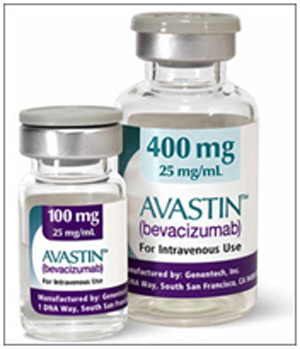 Glivec, the brand name of the drug imatinib, and Sutent (sunitinib) have both been shown in trials to increase patient survival by a significant degree. Drugs such as Glivec and Sutent reduce the size of tumours but could also make them more aggressive and mobile. As a result tumours find it easier to ‘metastasise’, or spread around the body. If you just looked at tumour growth, the results were good,‘said lead researcher Professor Raghu Kalluri, from Harvard Medical School in Boston. But when you looked at the whole picture, inhibiting tumour vessels was not controlling cancer progression. The cancer was, in fact, spreading. Seventy to 80 percent of cells in breast tumour are non-cancer cells. Are they all bad? Some of them are there to protect us and they’re not all bad. Indeed Sutent has been approved by the US FDA for treatment of advanced renal cancer, but the reality is it does not cure advanced or metastatic renal cancer or any cancer at all for that matter. Know that! 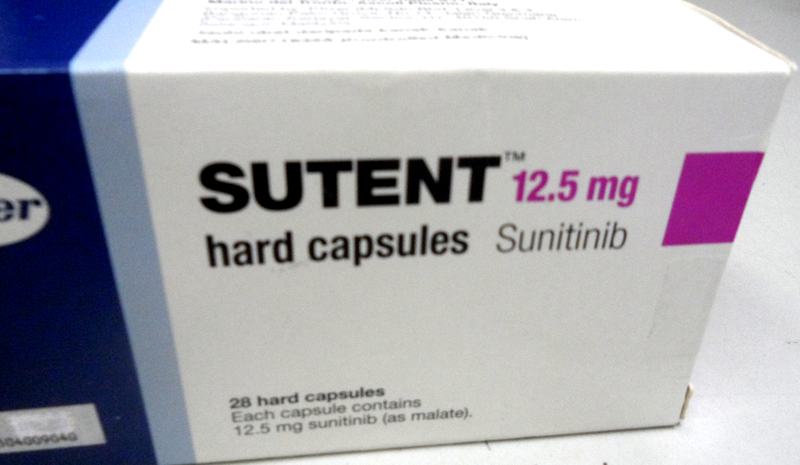 The website said, Sutent has been proven effective in the treatment of advanced RCC (renal cell carcinoma). A clinical study has proven that Sutent is more effective than interferon alfa (IFNα), another approved treatment option for advanced RCC. SUTENT More Than Doubled Median Progression-Free Survival (PFS) vs IFNα – 11 months vs 5 months with IFNα. SUTENT Achieved More Than 2 Years’ Median Overall Survival (OS): 26.4 months vs 21.8 months with IFNα. FIVE TIMES more people saw their tumors shrink. 103 patients taking Sutent compared to 20 taking IFNα. Of course, when you read this information it is very impressive (but don’t fall into the trap of sweetened or massage research data!). Why do I say the message is a sweet camouflage? Let’s look at the data critically. If you take Sutent, you have TWO TIMES longer progression-free survival. Progression-free survival means the length of time from the start of treatment that patients remain alive and their disease does not worsen. The question you want to ask is:, what if you don’t take Sutent – can you also have progression free survival? Of course, but it is shorter a bit. According to the Drug Company, with Sutent the progress-free survival was 11 months compared to 5 months without Sutent. So Sutent gave an advantage of 6 months.Progression-free does not mean cure at all. It is just the disease does not worsen and you are still alive. Those who take Sutent remained alive. The median overall survival was 26.4 months and then they die. But what if you don’t take Sutent? Patients were still alive but died at 21.8 months. That means by taking Sutent you live longer by 4.6 months. Take note: you live longer by only 4.6 months. Is that what you want? Let us look at the economics. To live 4.6 months longer you need to take Sutent for at least 27 months, according to this study. This would cost you about RM 15,000 x 27 = RM 405,000. I am sorry, is my calculator playing tricks on me? Is that not a lot of money to you and me? And spending that kind of money to chase after 4.6 months of extended life? Let us hope that the extra 4.6 months of life is blissful, worth every minute of it. Or is it? There is no free lunch – you may have to suffer severe side effects as listed below.Nowhere in medical literature do I ever come across data showing that Sutent cures your cancer. 3. Five times as many people on Sutent saw their tumors shrink – is this a great achievement? Shrinkage of tumour has NO meaning. It is just a lure or camouflage! And what do you make out of the research led by Professor Raghu Kalluri of Harvard Medical School in Boston which said that Sutent may shrink the tumour but ultimately Sutent may end up helping cancer spread more aggressively and widely. The following are warnings given by the Drug Company. Heart problems—include heart failure and heart muscle problems (cardiomyopathy) that can lead to death. Tumor lysis syndrome (TLS)— caused by the fast breakdown of cancer cells and may lead to death. TLS may cause nausea, shortness of breath, irregular heartbeat, clouding of urine and tiredness associated with abnormal laboratory test results (high potassium, uric acid and phosphorous levels and low calcium levels in the blood) that can lead to changes in kidney function and acute kidney failure. Gastrointestinal symptoms, including diarrhea, nausea, vomiting, mouth sores, upset stomach, abdominal pain, and constipation. Perhaps we all should read the article below presented by Drs Tito Fojo and Christine Grady. The first author is from the Medical Oncology Branch of the National Cancer Institute, Bethesda, USA, while Dr. Grady is from the Clinical Center, National Institutes of Health, Bethesda, USA. As oncologists, we cannot go without answering these questions. 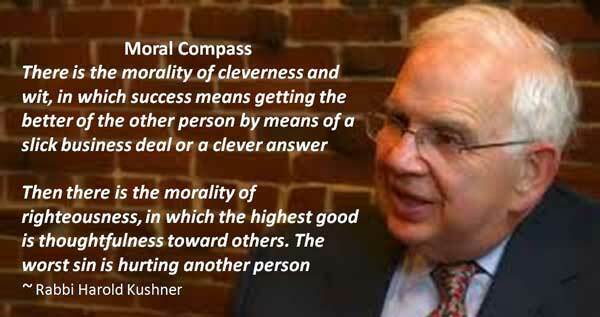 The moral character of our specialty depends on the answers. MF (H614) is a 49-year old male. He and his family came to seek our help on 27 May 2011. Watch this video and listen to his story. MF was diagnosed with kidney cancer in June 2004. As a result his left kidney was removed. This operation cost him RM 8,000. After the operation MF was told that everything would be alright since the cancer had been removed. He was told not to worry and could go back to his normal life again. After all, the cancer has been cured. It was not to be. Three years later, June 2007, the cancer had spread to his lungs. MF received 10 times of radiation treatments. Then he was told that there was no further treatment. MF turned to herbs. He received fresh herbs from a farm in Johor. He took the herbs for almost one a half years. According to MF, his lung cancer did not improve, but he did not get worse either. But a CT scan done on 1 April 2009 showed the mass had increased in size from 5 x 5 x 7cm to 4 x 11.5 x 6 cm. The lymph node increased (?) from 2.5 x 4.5 x 6 cm to 3 x 3 x 4 cm. Impression: Features are suggestive of progressive enlargement of the right hilaar mass with lymph nod metastasis. Suspicious right main pulmonary artery thrombosis. MF turned to medical treatment again. In May 2009, he was accepted into a Patent Assistance Program on Sutent offered by a local university hospital. For the first three months on Sutent, MF had to pay a total cost of RM 51,000 for the drug. After that, Sutent was supplied free of charge. A CT scan on 4 September 2009, i.e., after about four months on Sutent – showed the right lower lobe is much smaller now … measures approximately 5 x 4.4 cm. Impression: Left renal cell carcinoma with lung metastases post nephrectomy and chemotherapy showing good response to chemotherapy as evidenced by significant reduction in size of the lung metastases. legs with blisters with fluid. It was painful when he stepped on the floor. the worse side effect was heart failure – currently on heart medications. My father, from Malacca who visited you last Friday (27 May 2011) at Penang was admitted to Melaka General Hospital today. He doesn’t have energy to walk, lost the power to speak and see everything in blur ways. May I know what causes all these? My mother gave him the herbal tea to drink as you told. And he lost his appetite. Thus when the doctor checked his sensitivity, his left side of body is less sensitive than his right side of body. Are these the symptoms of having mild stroke? Hope you can reply me as soon as possible. Thank you. Reply: I cannot tell you exactly what happen — because I am not there to know what actually was going on … even more so when after all the drugs that he was taking …. he is the one who took Sutent and got the heart attack right? My father’s cancer cells from the kidney which spread to the lungs a few years ago, now has spread to his brain. I found this from the doctor after doing the CT scan yesterday. The doctor says that there are many white spots on his brain and he has a high level of calcium. Doctor says that maybe it has spread to the bone too, but unfortunately, they don’t have the machine for the bone scan in Melaka General Hospital. And, my father keeps on complaining about his headache. What should my mother and I do right now? Reply: I think I have already told you this … from the Kidney it goes to the lungs and from the lungs it goes to the brain. That is the way it goes and Suntent makes things worse. I am in the US now and shall only come home in July. I really don’t know what else to say. 1. Surgery does not cure any cancer. It is a big mistake to think that after a surgery, the cancer is gone. It is most unfortunate that patients are not forewarned of this possibility of recurrence. Even if you are told that the cancer has all been taken out, please take this with a pinch of salt! The cancer can come back again. And if you are told to go home and eat anything you like, remember that may not be a good advice at all as in this case. Read another story, Kidney Cancer Part 1: Get it removed! ……. 2. MF was on herbs for more than a year. He was not getting worse. He said he was not getting better either. For sure, he did not suffer during those months while on herbs. Also he did not have to spend RM 51,000 on the herbs. MF turned to Sutent and he took the drug for over a year. He had to endure all the side effects. Sutent consumption had to be stopped after his heart was damaged. Which is more beneficial – the so called unproven herbs or the so called scientifically proven Sutent? In addition to those side effects, he had to fork out RM 51,000 – worth it? 3. After about four months on Sutent, the CT scan showed the lung mass became smaller. The CT scan report reads, “good response to chemotherapy as evidenced by significant reduction in size of the lung metastases”. Unfortunately, reduction in tumour size (although accepted by the US-FDA and medical community as an indicator of effectiveness) is meaningless. After a prolonged consumption of Sutent, in February 2011, MF suffered a heart failure and the doctor advised MF to stop taking Sutent indefinitely. So ended this sad story about Sutent. SUTENT may cause heart problems, including: heart failure, heart muscle problems (cardiomyopathy) and abnormal heart rhythm changes. SUTENT may cause hormone problems, including thyroid and adrenal gland problem. Headache or change in your mental status. Ray (M578) is a restaurant owner inIndonesia. In December 2007, at the age of 53, he was diagnosed with kidney cancer. He underwent a radical nephrectomy in a hospital in Melaka. It was a grade 2 RCC (renal cell carcinoma) which had invaded the renal capsule. After the surgery, Ray was well and life was back to normal again. Chris: After the operation, no chemo, no nothing? Did the doctor ever ask you to take care of your diet? Ray: The doctor told me: Eat whatever you like! About seven years later, August 2007, Ray developed a cough. 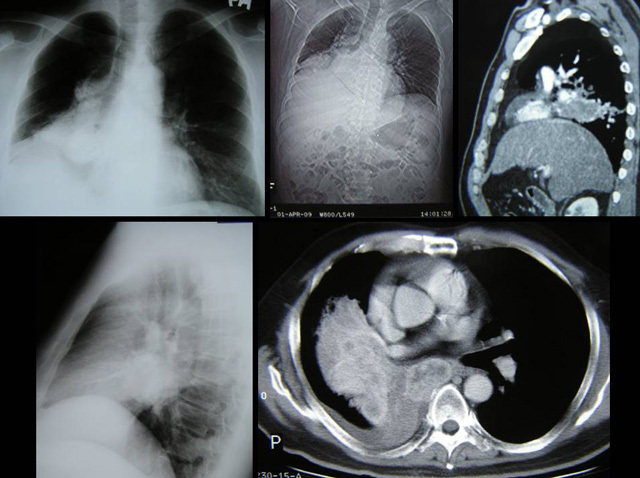 A CT scan on 17 August 2007 showed 3 lung nodules of size 1 cm to 2.5 cm. One nodule each in left upper lobe and one in anterior segment right lower lobe. Ray consulted 4 oncologists who differed in their opinions and offered different treatment options. Onclogist 1: An oncologist in Melaka asked Ray to take Nexavar (sorafenib). This was a new oral drug. Ray declined the medication. Onclogist 2: Ray’s wife asked Ray to see an oncologist in Subang where a PET/CT scan was done. 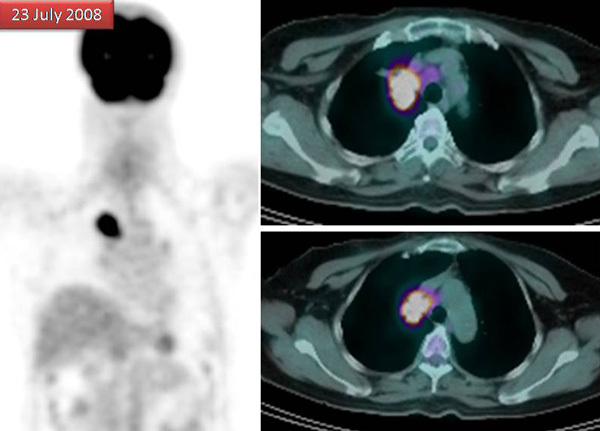 This oncologist recommended radiotherapy and Ray was subsequently referred to a radiologist who was hesitant to do the treatment mainly because one of the nodules was situated near Ray’s heart. Onclogist 3: Ray’s friend from London called and suggested that Ray consulted with an oncologist in Kuala Lumpur. This oncologist did not agree that Ray undergo radiotherapy. He suggested that Ray take an oral drug, Sutent (sunitinib). So Ray was started on Sutent in late August 2007 at a dose of 50 mg daily for 4 weeks (to be recycled every 6 weeks). Oncologist 4: Not happy with his Sutent treatment, Ray went to see an oncologist in Singapore. This oncologist was surprised to see Ray all yellow. He told Ray that he disagreed with him taking Sutent and then said: In the first instance, I want to be sure that the nodule is cancer. A biopsy was performed which confirmed that it was indeed a lung metastasis. Ray did another PET/CT scan. The results were amazing. The 3 nodules in the lungs had shrunk in size. This Singapore oncologist was lost for words and was not sure what to do next. Ray decided to go back to Oncologist 3 in Kuala Lumpur for further management. Oncologist 3 told him: You suffered 7 side effects only. According to the drug company’s information, there are 21 side effects. And you “belum apa-apa” (implying that you are not dead yet!). So it is okay. Ray was asked to continue taking Sutent but at a reduced dosage – 37.5 mg or 3 tablets her day instead of 50 mg or 4 tablets per day). However, even at a reduced dosage Ray still suffered and subsequently Ray took only 2 tablets (25 mg) per day. By January 2008, Ray totally stopped taking Sutent because of the intolerable side effects. Even after stopping Sutent, the problems persisted so much so that Ray was unable to stand up and walk. Ray told the oncologist: I am stopping Sutent, I might die because of the drug and not because of the cancer. A PET/Scan was performed in June 2008. The tumours had since grown back to their original sizes. The oncologist suggested a new oral drug, Afinitor (everolimus) which has yet to be approved for use by the Malaysian Government. This drug cost RM 1,000 per tablet, meaning a month’s supply costs RM30,000 (as opposed to Sutent which costs RM 18,000 per month). Realizing that his father was not going anywhere with these doctors, Ray’s son surfed the net and found CA Care. Ray decided not to take any more of his doctor’s medication and came to seek our help on 29 May 2009. There are some lessons we can learn from this story. Medicine is supposed to be scientific and based on solid proof. In this case, where is the proof? Ray consulted 4 oncologists and each gave their own expert opinions. Dr. Robert Weinberg had rightly said: At present, the choice of drugs to be used … is inspired by … intuition or poorly informed guesses. Note again what he said – based on poorly informed guesses. Perhaps Voltaire was not far wrong when he said: Doctors are men who prescribe medicines of which they know little, to cure diseases of which they know less, in human beings of whom they know nothing. Oncologist 1 was for Nexavar. 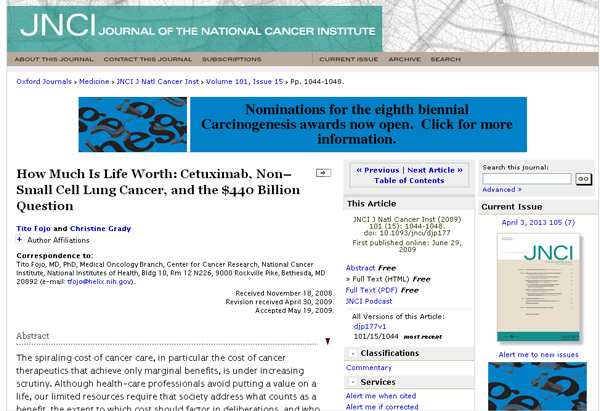 Nexavar, which also costs about RM 20,000 per month, is not shown to cure metastatic kidney cancer. Data showed that Nexevar only increased survival by 83 days (With Nexavar median survival = 167 days, Placebo, median survival = 84 days). Oncologist 2 suggested radiotherapy for reason only known to himself. Radiotherapy is not shown to cure metastatic cancer. The radiologist was right being skeptic about this recommendation. Radiotherapy could damage the heart. Oncologist 3 was trying new drugs on Ray. The approval of Sutent by the FDA – USA, was on the basis that Sutent shrank tumors in 26% to 37% of patients. Studies have not yet shown that Sutent improves survival, let alone cure cancer. When Sutent failed, Oncologist 3 suggested a switch to another drug– everolimus (commercial name Afinitor). This drug was approved for use by the FDA on 30 March 2009. It has not been shown to cure any kidney cancer or even prolong survival. It was said to prolong progression-free survival by about 3 months (PFS survival with everolimus – 4.9 months versus 1.9 months with placebo). PFS means the length of time during and after treatment in which patient is living with a disease that does not get worse. Oncologist 4 took a different route. He thought he had to make sure that the nodules in the lungs were indeed cancerous. It was indeed a thoughtful act or was it due to some other reason best known to himself? Anyway, he was dumbfounded when he found out the Sutent did indeed shrunk the tumours. It should not be any surprise since medical literature said similar thing, except one ought to ask if shrinkage of tumour has any meaning or significance at all. Ray suffered relapse after 7 years after an apparent cure. 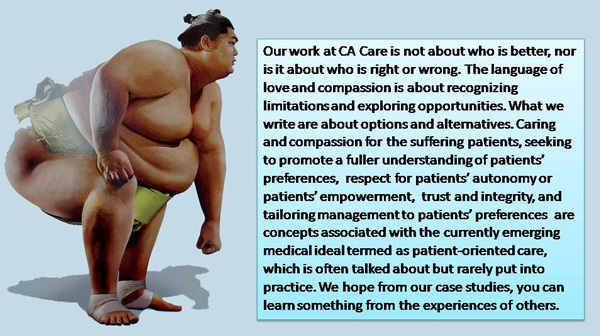 Most patients are often misled or lulled into a false security or belief that after treatment they are cured. Far from it. This case proved that surgery does not cure cancer. Period. Over the years, I have seen many case of relapse after surgery. Let me give some examples. These cases involved patients with right kidney cancer. They had undergone surgery to remove the diseased kidney and did not undergo any other follow up treatment since they were deemed cured. Patient 1 is a 40-year-old female. Surgery done in March 1996. After 5 years, December 2001, 5 lesions her found in her liver. The largest being 4 cm. Patient 2 is a 30-year-old male. He had surgery in January 2003. Barely 2 years later, December 2004, the cancer spread to his liver. There were 11mm lesion in Segment 8 of his liver and a 8.7 x 7.8 x 12 cm mass in the left para-aortic region. Patient 3 is a 53-year-old male. He had surgery in December 2000. About 7 years later, in Agusut 2007, there were three lesions in his lungs. Patient 4 is a 53-year-old male. He had surgery in March 1997. The tumour in his kidney was 4 cm in size. As of this writing, June 2009, he is still doing well. There is no metastasis. They say herbal and dietary therapies are not proven! Is the above not proof enough? The proof is in the healing! The above data also proved that medical treatment for renal cancer is on shaky ground indeed.